Prom is most likely going to be the most exciting event of high school, especially for girls, so it’s no surprise that preparing for prom is something that most high schoolers begin doing several months beforehand. For the guys, shopping for prom is often no big deal – rent a tux, pick out a corsage that matches your date’s dress, and see about borrowing the keys to your parents’ car, and you’re all set. Your Dress Should Complement Your Hair Color and Skin Tone. While many stylists will tell you to pick a color that you love or that you can “feel”, but if you want to make a positive and memorable impression, go for a color that goes beautifully with your hair color and skin tone. For blondes, go for bright or warm colors, or tone it down with cream. Brunettes and red heads will look stunning in jewel tones like sapphire, topaz, and emerald. 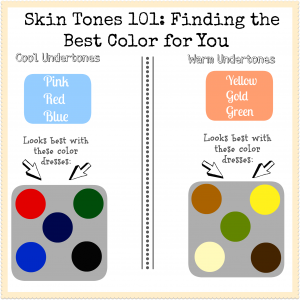 When it comes to skin tone matching, use your makeup as a guide: if you can get away with warm tones, go with warm tones for your dress, and likewise for cool tones. Visit their blog for more great dress-picking tips. Getting the Jewelry Selection Right. The phrase “go big or go home” applies to your dress or your jewelry – not both. If your dress is elaborately designed with ruching, rich colors or patterns, then your jewelry should be simple and understated – think plain diamond studs, gold hoops, and slim bangles. Likewise, if your dress is a classic but simple in design and solid in color, feel free to wear statement jewelry that is both eye-catching and elegant. Set a budget and stick to it. Ask around to see if friends have any extra prom-worthy dresses, or if they know of anyone – an older sister, a brother’s girlfriend, etc. – who might be willing to lend you one. Alternatively, you could rent one, similar to how men can simply rent tuxes rather than purchase them outright. Skip the hair stylist and makeup stylist in favor of someone who is a friend or family member, and if possible, do things yourself. 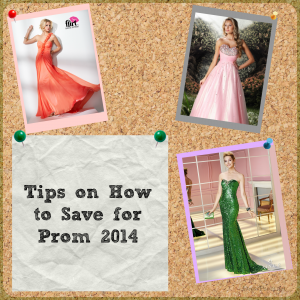 Lastly, don’t hesitate to shop at dress shops during the off-seasons, when clearance is more likely to be abound! Stock Your Purse with these Essentials. Whether you go for a sequined handbag or a simplistically designed clutch, make sure you’ve got the essentials so you don’t have to make the rounds to the other ladies, or a vending machine: lip balm, eye drops, medical bandages in case you get blisters, matte powder, a mirror, and a small pack of tissues. Get a good night’s sleep every night in the week leading up to prom, stay hydrated, and de-stress by taking a bath every evening. And while you’re doing these things, focus on planning out the prom preparations: hang or lay out your dress the day before, get your hair done that day, have makeup at the ready, etc. A planned prom is sure to be an enjoyable prom!